ITM Africa, in partnership with High Performance Individuals-HPI Sudan is organizing a training event to develop understanding, enhance skills and expertise in Emotional Intelligence. The training will take place on November 9 of 2018 at Marriott Hotel Kigali. Various topics will be covered, including four components of EQ (Self- awareness, Self-regulation, Social awareness, Social management), Importance of EQ in effective leadership (EQ in leadership, EQ in communication, EQ in influencing & negotiation, and EQ in team dynamics). ITM says it adopted an appropriate methodology for each program to ensure quality learning. There will be highly interactive lectures, interactive discussions, role plays, course manual, activities, and assessment handbook. One the trainers is Dr. Jerome. He holds a PHD in Psychology, a MBA in Human Resources and a BA in Law and Economics. A Human Resource and Training Consultant, he has over 25 years of experience at middle and senior levels across most management functions with international organizations. He acquired a global approach in developing human resources as a primary asset for the competitive edge and long term growth of companies. His career has brought him to consult and manage HRD programs in a large number of companies over a broad range of industries. He used the available techniques to enable us to understand precisely what our brain is wired for. EQ will develop the in-depth power of individuals, enabling them to manage themselves in order to manage others. The vital trait goes beyond the LEADER’s trying to gauge an employee’s mood—It allows leaders to carefully examine business situation and approach them appropriately. 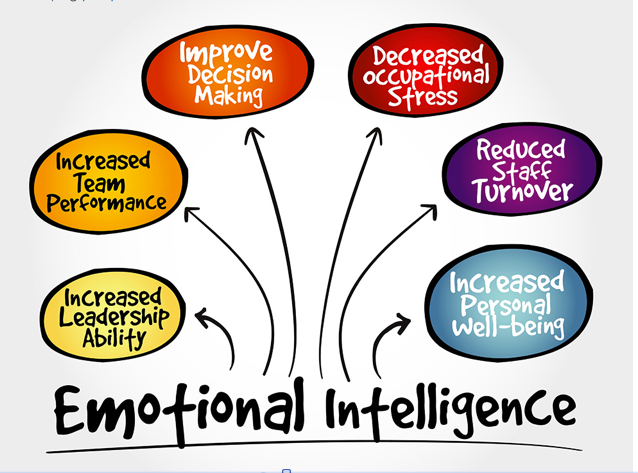 EQ is a powerful tool that pushes leaders to get things done, their ability to read employee’s emotional state, reaction and stress levels helps these leaders to manage their team with a strategy and approach that is both thoughtful and compassionate but also with trackable outcomes.